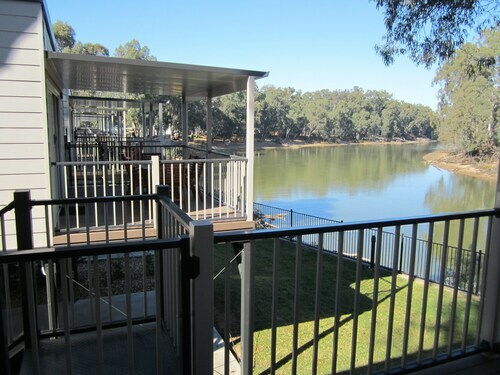 This family-friendly Moama cabin is located on a river, within 3 mi (5 km) of Port of Echuca, Echuca Historical Museum and National Holden Motor Museum. Banyule Park State Forest and Great Aussie Beer Shed are also within 6 mi (10 km). 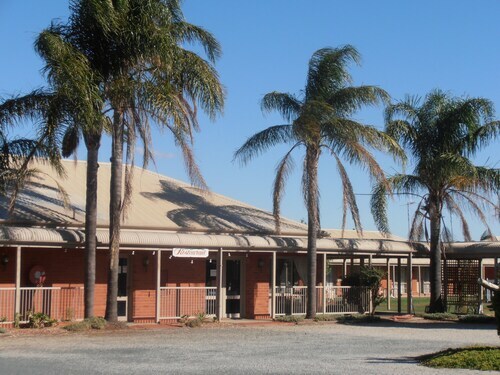 Located in the heart of Moama, this spa motel is 0.6 mi (0.9 km) from Moama Bowling Club and 1.6 mi (2.6 km) from Port of Echuca. Adventure Play Park and Echuca Moama Tourist Centre are also within 2 mi (3 km). 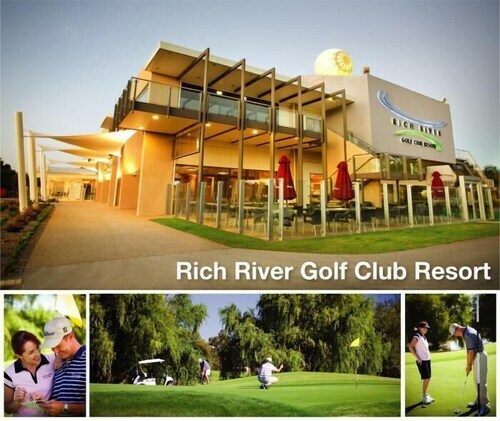 Situated in Moama, this golf motel is within a 15-minute walk of Rich River Golf Club and St Anne's Vineyard. Port of Echuca and Adventure Play Park are also within 6 mi (10 km). 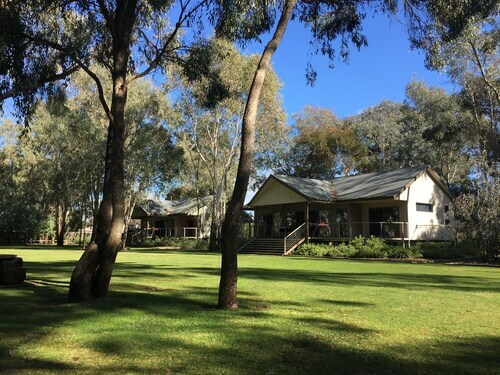 Located in a rural location, this family-friendly cabin is within 6 mi (10 km) of Port of Echuca, Echuca Historical Museum, and Banyule Park State Forest. National Holden Motor Museum and Great Aussie Beer Shed are also within 9 mi (15 km). Situated in a rural location, this cabin is 0.3 mi (0.5 km) from Moama Bowling Club and 1.2 mi (2 km) from Port of Echuca. 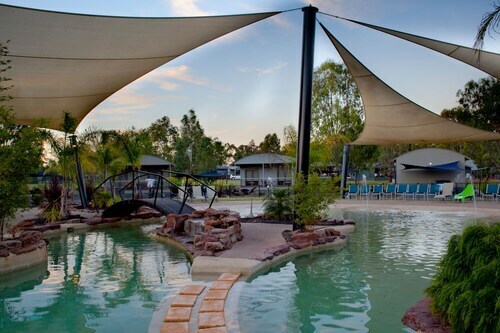 Echuca Moama Tourist Centre and Adventure Play Park are also within 1 mi (2 km). Situated on the waterfront, this luxury apartment building is 1.1 mi (1.8 km) from Chanter Estate Winery and Military Museum and 3.8 mi (6.1 km) from Port of Echuca. 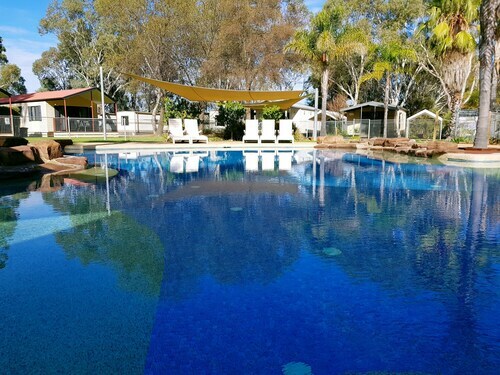 This family-friendly Moama villa is within 1 mi (2 km) of Adventure Play Park and Moama Bowling Club. Port of Echuca is 2.2 mi (3.5 km) away. Nestled in the heart of New South Wales' Riverina district, Moama is a beautiful riverside town just two and a half hours from Melbourne. Moama is the sister city to Echuca, which sits directly across on the Victorian side of the Murray River. 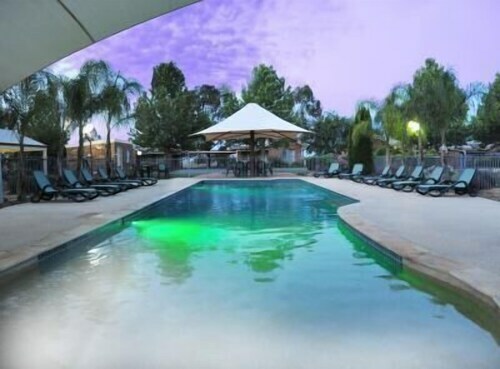 If you're looking for a river holiday, find a great hotel in Moama and enjoy a quiet weekend away. Golfers will love the Rich River Golf Club, an international standard 36-hole course that has played host to many international competitions. 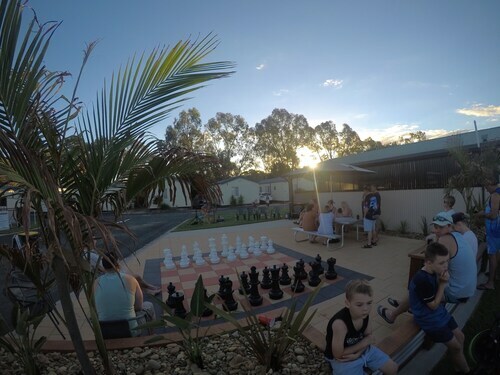 Lawn bowls, tennis courts, licensed club facilities and a croquet lawn provide active visitors with plenty of entertainment. The proclaimed "paddle-steamer capital" of Australia, no trip to Moama is complete without visiting the bustling river port and taking a ride on one of the historic paddle steamers. You can also hire a houseboat and sleep on the river, or enjoy a wide range of water sports like canoeing, swimming, fishing and waterskiing. The beauty of Moama is that it has it all. The facilities in Moama are a delight, a short stroll through the city centre will give you a strong sense of history, while capturing the charm and historical architecture of wonderful galleries, cafes and a bustling shopping district. Just outside town, discover beautiful red gum forests, wetlands and fauna parks for your kids to get up close and personal with nature. Lazer tag and paintball are available for the not so faint of heart, or take a relaxing afternoon and follow the food and wine trail into the hinterlands. There are a wide range of local wineries all within a 15-20 minute drive. Well within reach for a weekend away from Melbourne, take a holiday to Moama today and discover the serenity of the Riverina region. 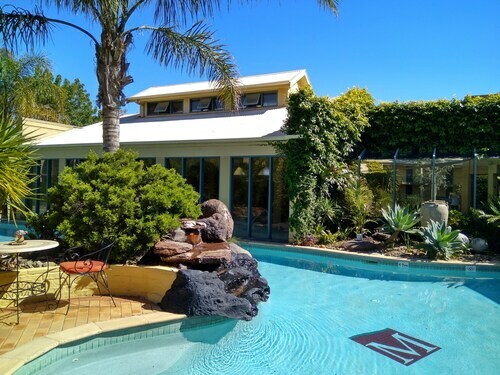 Book your Moama accommodation from the range below, and then all you need to think about is relaxing on the river. Sounds like bliss! How Much is a Hotel Room in Moama? Hotels in Moama start at AU$91 per night. Prices and availability subject to change. Additional terms may apply. Gorgeous grounds and surroundings great room with spa..